Would you invite to your house an observant Jew whose diet is according to strict kosher laws and then offer him or her a meal including items such as shrimp cocktail, lobster bisque, and honey-baked ham? Of course you wouldn’t, unless you intentionally want to offend. The dietary laws recorded primarily in Leviticus strictly prohibit eating pork and seafood with a shell. Peter was an observant Jew, and he was criticized for eating with Gentiles who had believed the gospel message of Jesus. Those men were uncircumcised and considered ritually unclean by circumcised Jews. And it was assumed Peter had shared a “gentile” (non-kosher) meal with them, although that’s actually an assumption on our part. Merely sharing a meal was, in itself, bad enough and if Peter had consumed non-kosher food would have added insult to injury. The details of associating with Gentiles merely provide the pretext for what’s most important here: With this passage in Acts, the gospel-writer Luke offers a key moment in the spread of the good news of Jesus Christ. This message is not just for the Jews but for Gentiles, as well. Shocking, to say the least. Of course, it’s not simply a case of Peter giving this issue some thought and proceeding according to what he felt would be a good idea. No, the key part of this passage is a vision in which a heavenly voice (the Holy Spirit?) 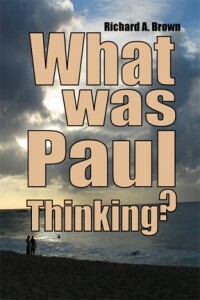 tells Peter what God wants him to do and why. In the end Peter’s critics are silenced once they accept that God’s love extends beyond the Jews to the Gentiles, indeed to all the world. It was a remarkable experience, perhaps one of the finest and most memorable spiritual experiences of my life. Instead of following normal legislative practices (such as Robert’s Rules of Order, etc.) 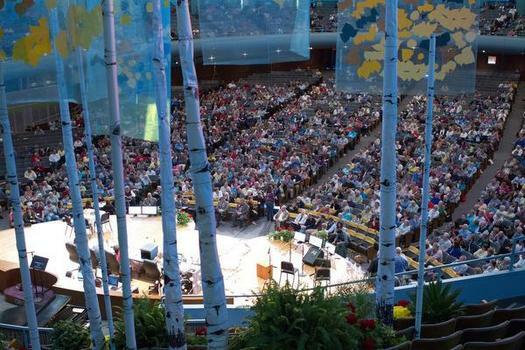 the 1,500 delegates engaged in a structured discernment process that included a lot of listening, with repeated attempts to understand why people hold the positions they do. We used little, hand-held electronic voting devices. We engaged in guided spiritual direction. We had frequent “Moments of Blessing,” which involved instrumental and vocal music, meditation, prayer, videos, and a “play” in which five delegates who had expressed differing perspectives on an issue sat around a table and broke bread and shared grapes. The conference used the metaphor of an aspen grove, whose root system is actually one large “organism” even though it looks above ground like a forest of individual trees, to express the idea of community. The purpose was to listen, to try to understand, to be sensitive, to envision what might happen next in the church, and, finally, to take a vote. For the conference to make a recommendation required at least a 67 percent vote. Each of the three proposals easily surpassed that level. There was no outward celebrating or angry denunciations after the voting was completed. A few delegates did quietly leave the conference chamber at that point, however. We were all quite aware that there is a sizable minority in the church that, for various reasons, will not or cannot go along with the recommendations. Some, maybe quite a few of them will end up leaving the church; most likely, a few congregations will eventually be closed. Certainly my denomination, Community of Christ, is far from the first Christian group to deal with this hot-button issue. The conference we just held was not only the direct result of three years of planning but many, many years of passionate individuals pressing church leadership to engage the issues. I’m told there were official observers from other Christian organizations. If nothing else, it appears that guided spiritual discernment offers a better path for dealing with these issues than legislative bodies engaged in back-and-forth debate. About 30 years ago my denomination extended priesthood ordination to women, by using the then-accepted and common method of legislation. That moment served as a flash point for a wide range of conservative dissent and unrest in the church. Thousands of members ended up leaving the denomination. Families were divided, some congregations were closed permanently. Having served previously as bi-vocational pastor of my congregation I still maintain a pastoral sensitivity and know how deeply these issues run within my own congregation as well as others. And so I was conflicted, knowing the sadness and pain of some folks I hold dear to my heart as well as having a testimony this is the right thing for the church to do. The conference was a remarkable example of living out the idea of being a prophetic people. And it was very hard work! Peter’s vision as recorded in Acts 11 is helpful to us some 2,000 years later. First of all, God can and will do a “new thing” from time to time. Second, it reinforces how I read and understand scripture: to view the individual parts within the lens of what I believe is the overall theme and purpose–That God is and will always be faithful to God’s promises to bless the earth and everything and everyone in it. There are some challenging days ahead for my denomination and my congregation. There are also some incredible opportunities and expansion of ministry as an open and affirming community. 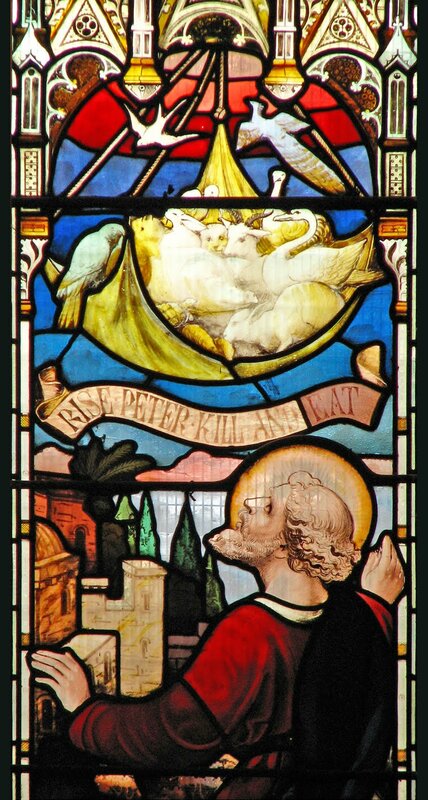 But no matter what lies ahead, may we respond as did those early disciples to whom Peter shared his vision: Praise God! This entry was posted in Christian theology, healing, Holy Spirit, homosexuality, inclusion and tagged Acts, Apostle Peter, Christian Church, discernment, faith, Hope, marginalized, mercy, spirituality. Bookmark the permalink. 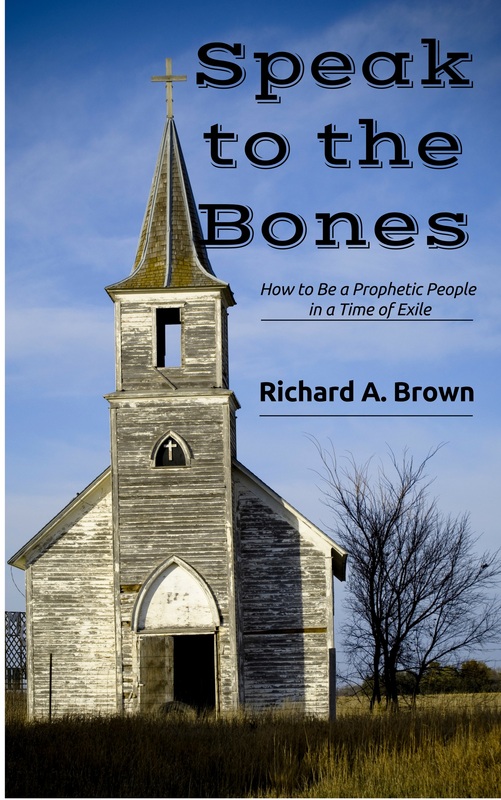 Examine the wide array of changes in the church over the last 40 years and we must ask “If these were all directed by God, why are the results so divisive?” How has this enriched the church? Do the members who express concern have no voice, unlike those who advocated change and had every opportunity given to further their cause? The reasons for the drastic diminishing in church participation and commitment are clear to those who are open-minded. Wow, Mark. I think that’s quite a misreading of what’s happened in the church since you left years ago. For starters, I’d prefer the term “turmoil” to “divisive.” The presence of turmoil indicates only that there’s been some major challenges to which certainly everybody’s not been on board. The flashpoint of women’s ordination set in motion both an exodus from the then-RLDS Church and a broader and deeper understanding of priesthood ministry, I believe. I can’t imagine the church today without women participating fully in priesthood ministry in my congregation and elsewhere in the national and world church. And, as well, I see deep participation and commitment by people, often in ways we couldn’t imagine a few decades ago. Congregations are looking outward into their larger communities in remarkable ways. That’s not to say we don’t have a long way to go to catch up with God’s vision for the church (and, I suppose, by definition we humans can never fully “catch up”). As a delegate at the recent USA National Conference I witnessed a discernment process that offered a “place at the table” for multiple points of view. Was everybody happy? No. But then there have been many people in the church for a long time who’ve been denied full participation and witness because of their sexual orientation. As with the transformation of U.S. society as a result of the civil-rights movement, the transformation of Community of Christ comes at the cost of turmoil, too. I believe the church is dealing with sensitive issues today in a much more mature way than we handled introduction of women’s ordination and a host of other matters.